Today is momentous, since a 106 year old mathematical problem has been solved. The field of mathematics has somehow intrigued me all these years, since I associate math with the highest level of profundity. Physics and chemistry study tangible entities. Put a pellet of sodium into water and you will get sodium hydroxide, although accompanied by an explosion. Forces of attraction, in physics are measurable by finite formulae set forth by a genius who, ages ago was not hungry enough to eat an apple that fell on his head. But math is such that you see numbers, equations, an elegant sigma or an integration sign and these abstruse symbols hold together the foundations of everything known to mankind. So, the Poincare conjecture is a concept floated in topology. The original statement in 1904 was - 'Consider a compact 3-dimensional manifold V without boundary. Is it possible that the fundamental group of V could be trivial, even though V is not homeomorphic to the 3-dimensional sphere?' In other words, consider a connected, 3 dimensional, finite sized, boundary-less space. Now, in this space consider loops, like rubber bands. If these rubber bands are slid down this space, thus continuously tighte ning them to a point, then the enclosed space is a three dimensional sphere! 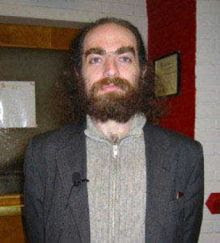 And Grigoriy Perelman proved that this is indeed the case. Alliteration, anyone? 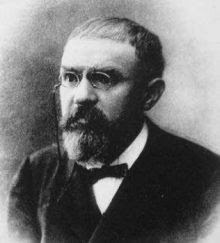 Poincare solved by Perelman! And why is this momentous? Well, there are 7 millennium problems, each carrying a million dollar award. Now there are just 6 more for the taking. Existential questions in the field of mathematics are slowly being solved, and somehow it makes me feel really proud that our human race is getting progressively sharper. Imagine, 106 years ago, a genius put forth a thought, a concept and 106 years and several mathematicians later, this has been proven! Collective human IQ has been proven to have been boosted by several 1000 points today! What strikes me more starkly, is the fact that the problem has been solved by a genius who is perceived to be eccentric, and a recluse! Think Mozart, Van Gogh, Nikolai Gogol, Pushkin, Dostoyevsky - geniuses in their own right, consumed by a disillusion, overwhelmed by their talent that made them reclusive. Maybe it is something in their cognitive structure that makes all of civil society look trivial, as a mathematician would say. It is rather ironic that the world wished to fete a true genius for his brains and his commitment and contribution, and he who is supposed to be at the receiving end, sees the inherent worthlessness of the felicitation, since he is way beyond such temporal, trivial matters! And in a way, his respectability somehow shoots several notches higher! I can't help but mention the movie 'Goodwill Hunting', which back then introduced me to the concept of the 'Field's medal', the equivalent of a Nobel in Math - there is no Nobel Prize for math, btw. Seemingly abstruse problems, in the movie, are solved by a genius janitor played by Matt Damon, who is simply brilliant, and lacks the gentility that goes with scholarship. And as happens in the movie, true genius shines through no matter what, and finds what it looks for. And the world that till then is too busy caught up in designing codes of conduct, sits up and takes notice when genius stands up and suddenly proves that societal mores and codes of conduct are the last things on its mind!